Extra space. 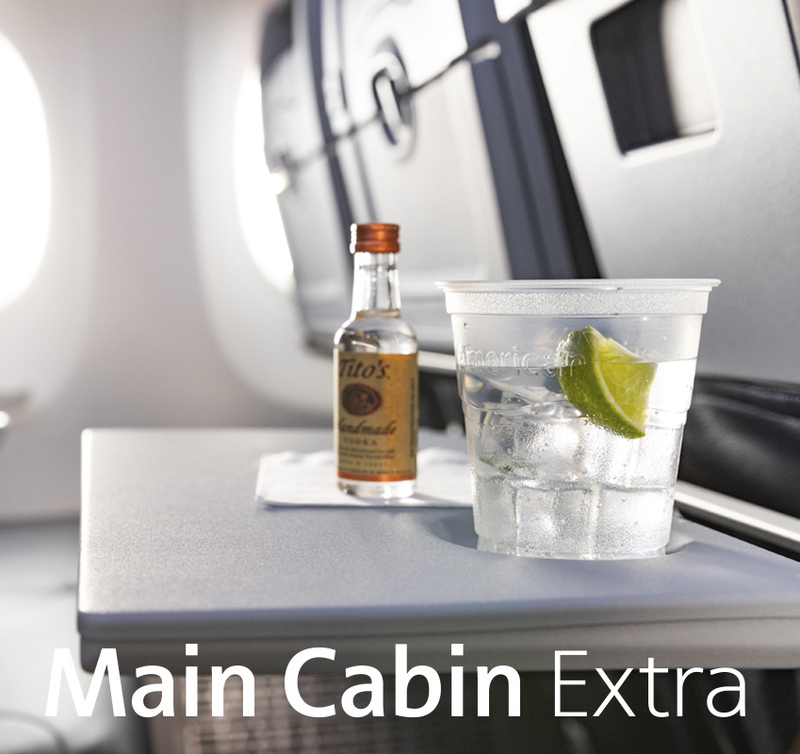 Extra perks.In Main Cabin Extra, the little extras make a big difference – extras like additional legroom, easier access to overhead bins and complimentary alcohol. 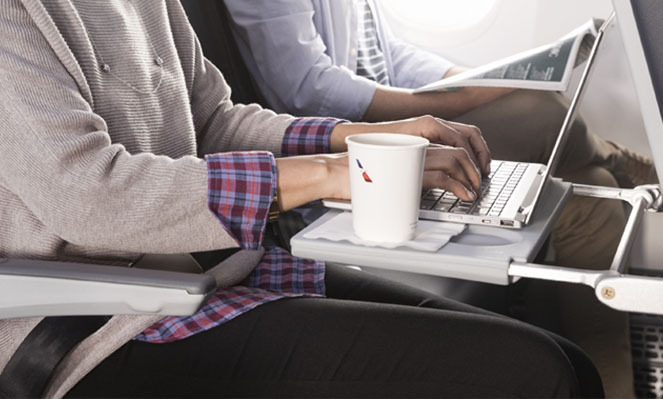 Treat yourself to an enhanced Main Cabin experience on your next flight. Extra space. Extra access. Extra perks. 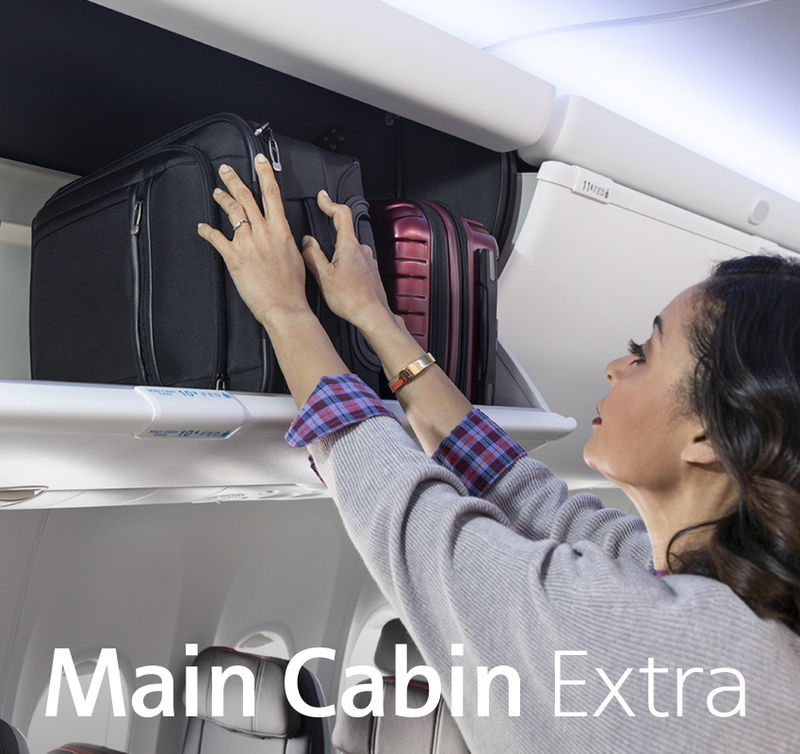 In Main Cabin Extra, the little extras make a big difference – extras like additional legroom, easier access to overhead bins and complimentary alcohol. 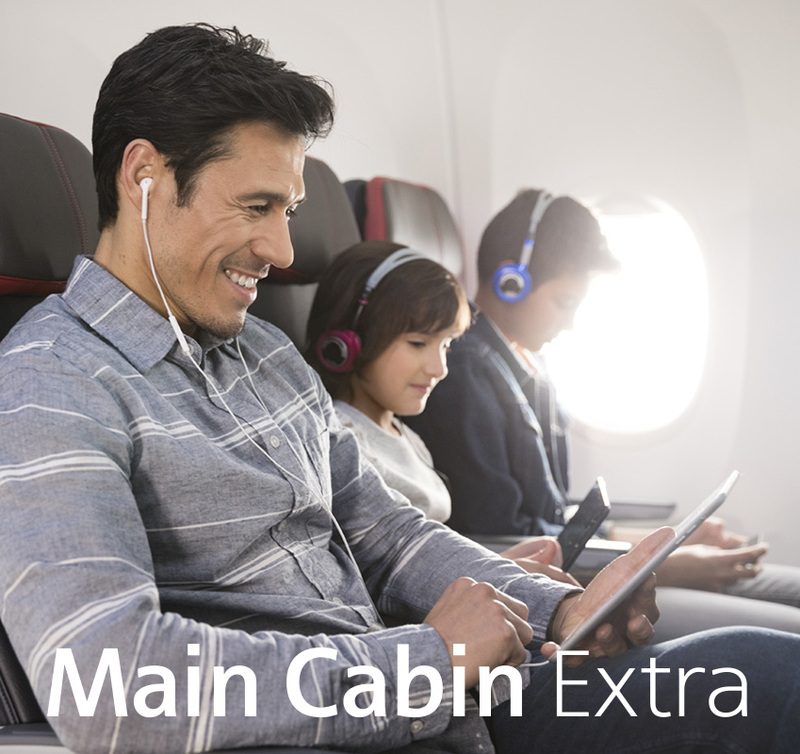 Treat yourself to an enhanced Main Cabin experience on your next flight. 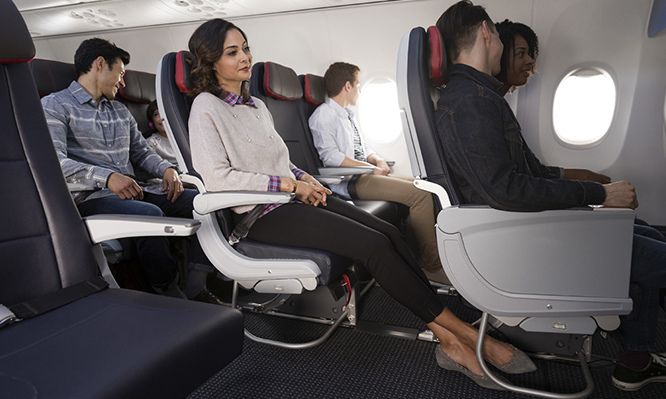 More legroom means more comfort while you fly, and there is plenty of space for you to stretch your legs whether you want to work or relax. 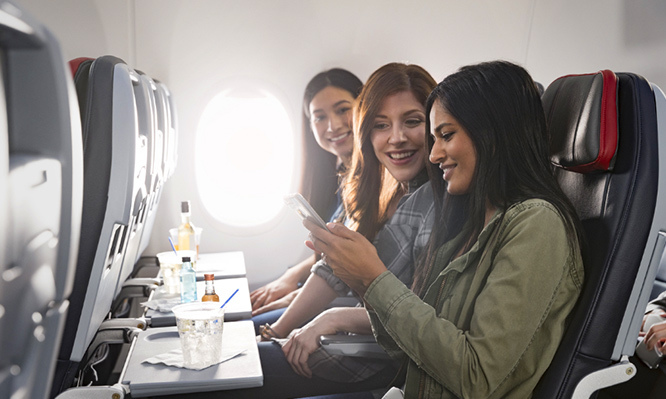 Kick off your trip on the right foot or relax as you head home with complimentary beer, wine and spirits* during your flight. We stock a wide selection to suit your every mood. * Alcohol is only available on flights that offer full beverage service. Get on board and take your seat earlier with Preferred Group 5 boarding*. Plus, enjoy easier access to overhead bins**. * Customers who purchase Basic Economy fares without elite status or eligible AAdvantage® credit cards will not receive Group 5 boarding. ** Overhead bin space availability varies by aircraft. Make time fly by choosing from our entertainment library that includes hundreds of free movies, TV shows, music selections and games on your personal device. To purchase a Main Cabin Extra seat, all you have to do is book your Main Cabin ticket as you normally would. Then, when you arrive at the “Choose your seat” screen, you’ll have the option to select Main Cabin Extra and secure all the benefits it has to offer.